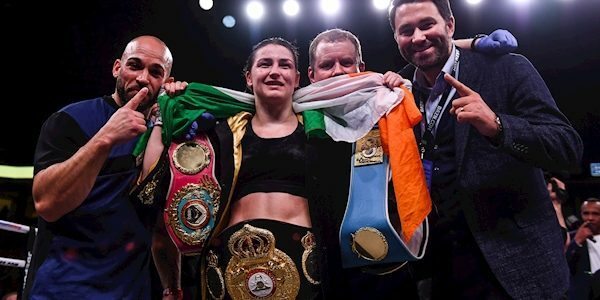 Katie Taylor’s chance to become the undisputed lightweight champion of the world has been confirmed. Taylor, champion of the WBA, IBF, and WBO divisions, will face WBC belt-holder Delfine Persoon. The fight will take place on June 1 at Madison Square Garden in New York. It will form part of the undercard for Anthony Joshua’s world title defence against Jarrell Miller. “I wanted to become the undisputed champion and now I have a chance to fulfill my dream,” said Taylor. “This is a huge fight for me. This could be the biggest fight of my career, really, both amateur and professional. Persoon will offer the toughest test yet of Taylor’s unbeaten professional career (13-0, 6 KOs). 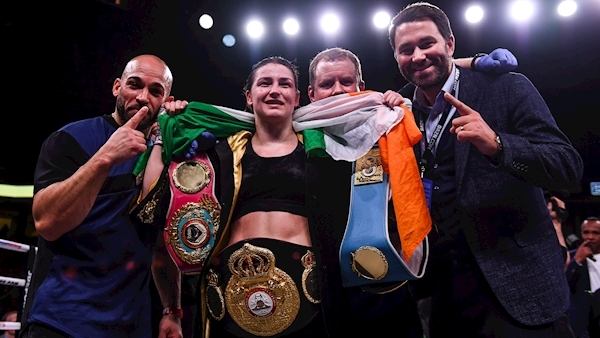 The Belgian boxer has won 43 of her 44 pro fights, with 18 knock-outs, and completed nine successful defences of her WBC belt. Her last defeat was in 2010. Persoon held a press conference yesterday to sign the contract, but there was no confirmation from Taylor’s camp until this afternoon. “The fight has been talked about for the last year or so. It just hasn’t happened [until now].